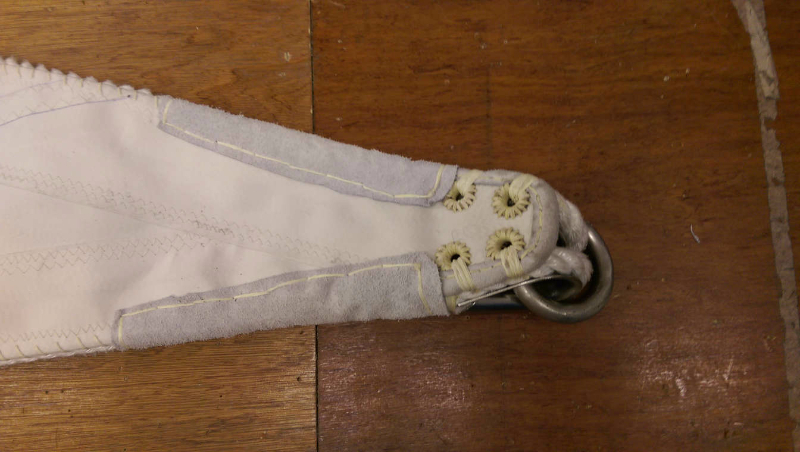 It’s taken more than 15,000 hand stitches to attach the boltrope along the perimeter of the U.S. Coast Guard’s 295-foot Eagle’s new mainsail and more than 300 hours to complete that one sail. 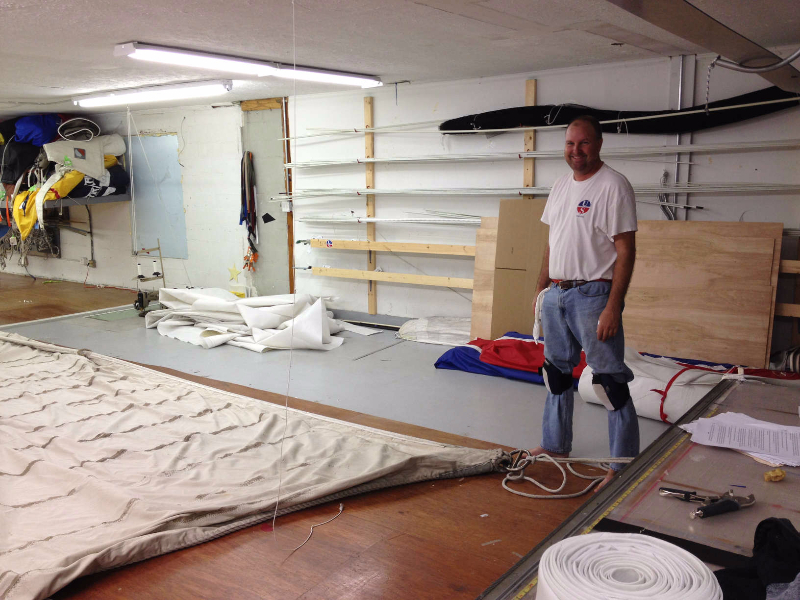 “The amount of handwork that goes into the sails gives us an appreciation for the machines we use today,” says Justin Ailsworth, lead sailmaker at Ullman Sails in Deltaville, VA, where the Eagle project has been under way since November and due to be completed by the end of January. Owner Jerry Latell explains that the loft has done such traditional projects before. 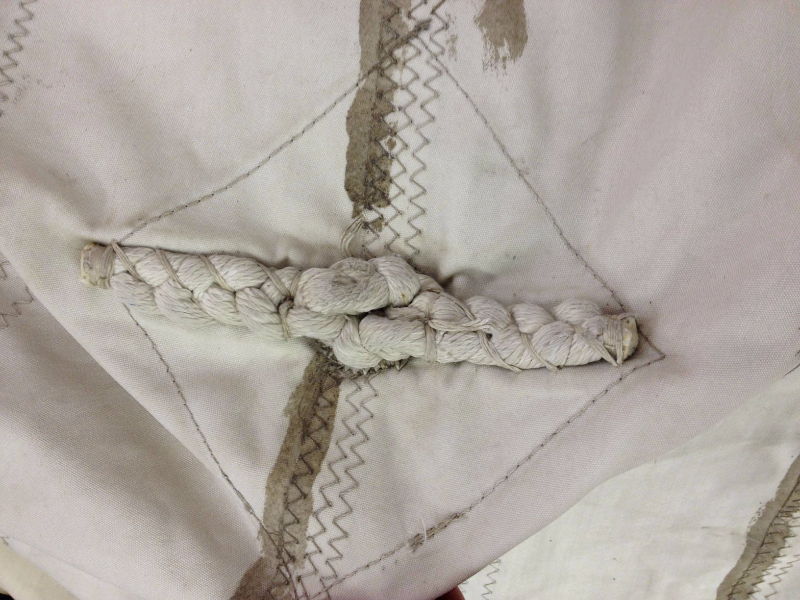 In addition to sails for two of the Jamestown ships, the Susan Constant and Godspeed, they have stitched skipjack mains and in 2015 a Mississippi schooner. They’ve built the Eagle’s sails before, too, and started this most recent project after a government contract bidding process. They are also doing some repair work on older Eagle sails once they’ve completed building the new sails. The USCG Eagle is a steel-hulled barque upon which future officers practice navigation and leadership skills. 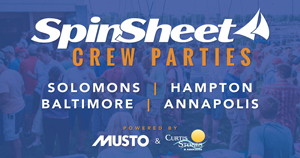 To maneuver the Eagle under sail, the crew must handle more than 22,000 square feet of sail and five miles of rigging. 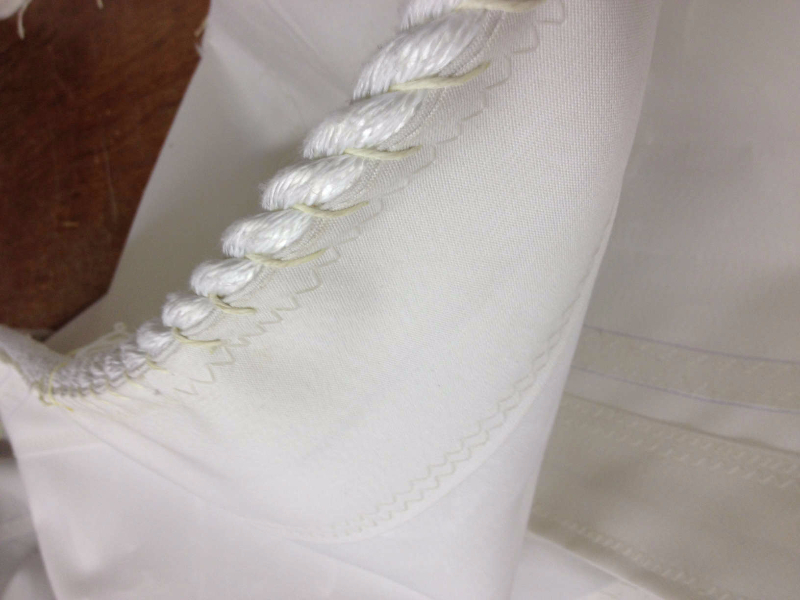 Over 200 lines control the sails and yards, and every cadet and officer candidate must become intimately familiar with the name, operation, and function of each line. A permanent crew of six officers and 55 enlisted personnel maintains the ship year round and trains up to 150 cadets or officer candidates at a time. 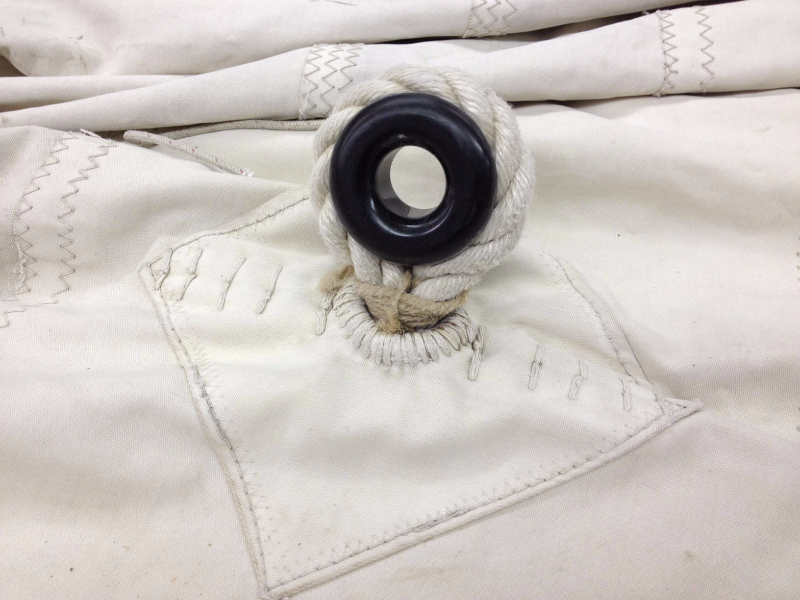 Ailsworth and his team have built six Eagle sails: the fore topmast staysail, flying jib, main topmast staysail, main royal staysail, outer jib, and the mainsail or main course.